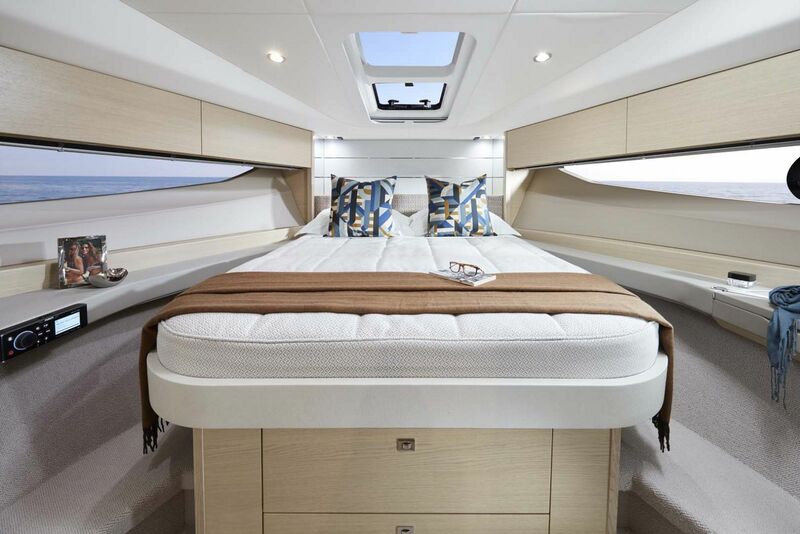 The Princess Yachts V40 may only be 42 and a half feet, but with much larger siblings in the V-class series, this sport yacht takes cues from the V48 and V60. 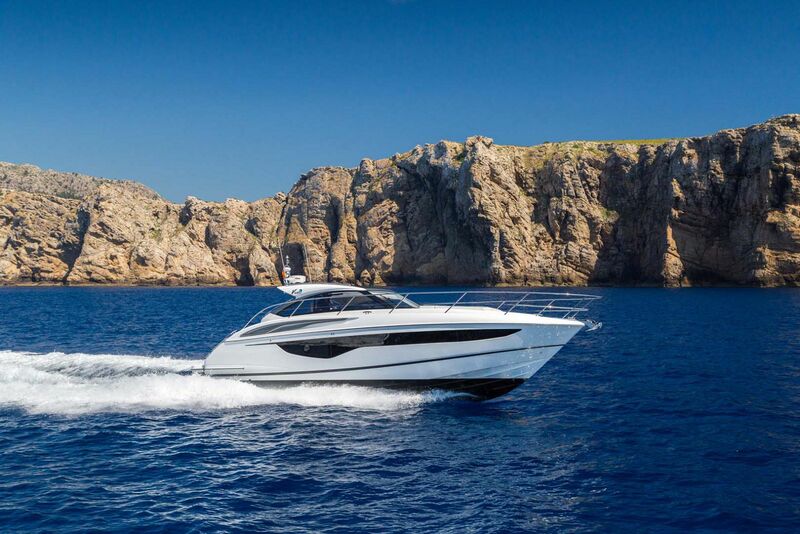 Designed with Princess' patented deep-v hull for extra stability and performance, the V40 showcases the dynamic styling like a powerful sports car cutting through the water. 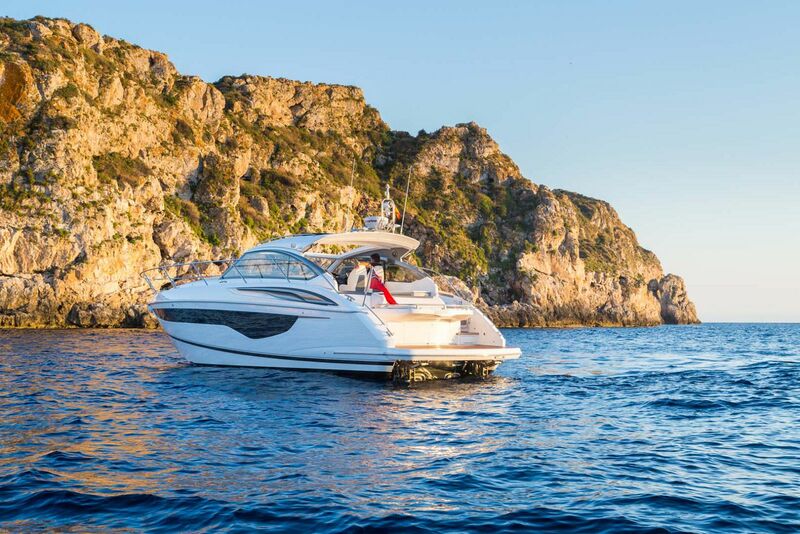 Princess uses the most advanced, cutting-edge technology combined with the highest quality composite materials to construct an express yacht that is lighter, more spacious, and more durable than other boats in its same class. 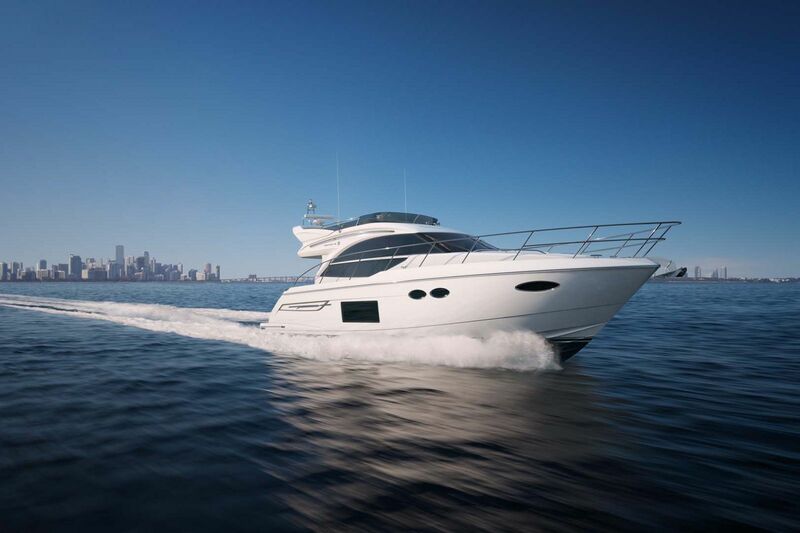 The Princess V40 is the perfect entry-level sport yacht from owners of a 30-foot or more bowrider or dayboat looking into a larger model with overnight accommodations. 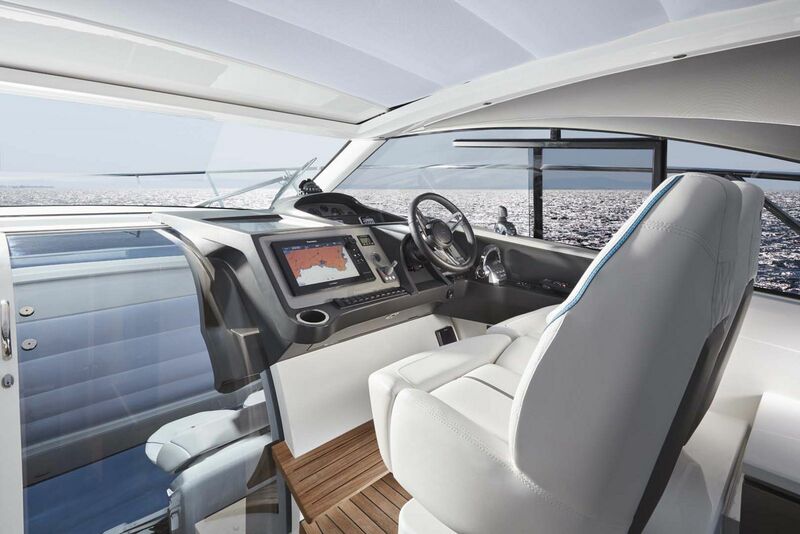 The aft cockpit on hte V40 is perhaps the most inviting and popular area in the design. 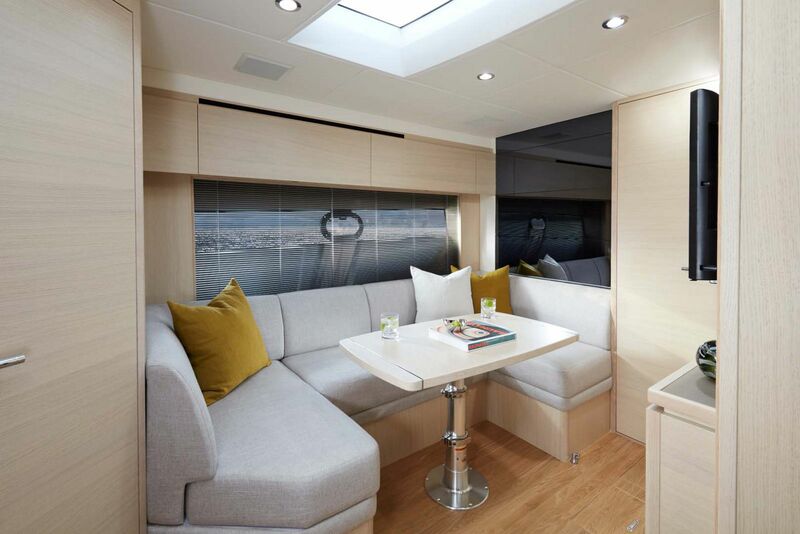 U-shaped seating and an additional L-shaped seat make good use of space while providing ample seating for everyone on board that also faces each other. 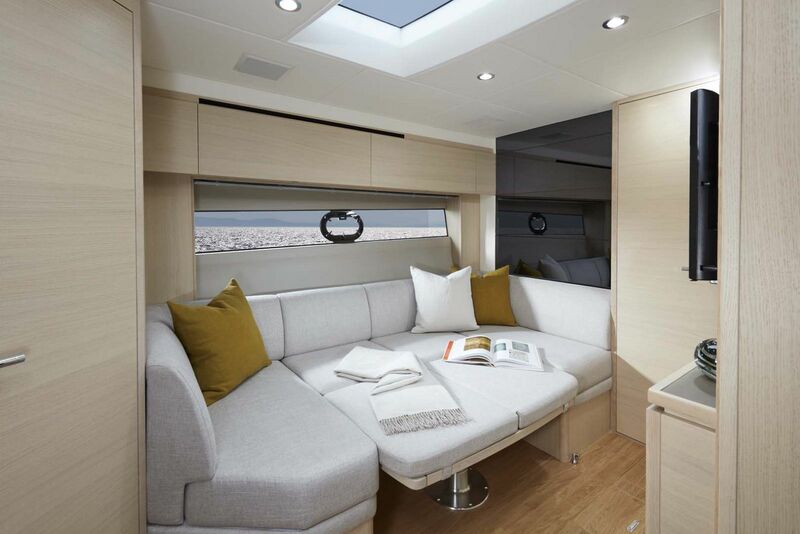 The electrically opening sun roof and large windows give off a feeling of being completely outdoors and the wetbar adjacent to the couch on the cockpit is perfectly located and equipped for entertaining. 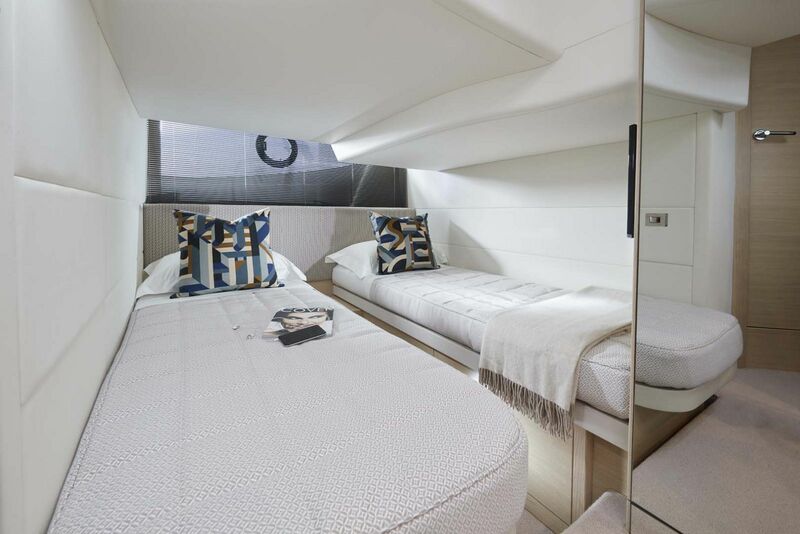 Below deck, her interior design depicts the modern V Class look throughout. 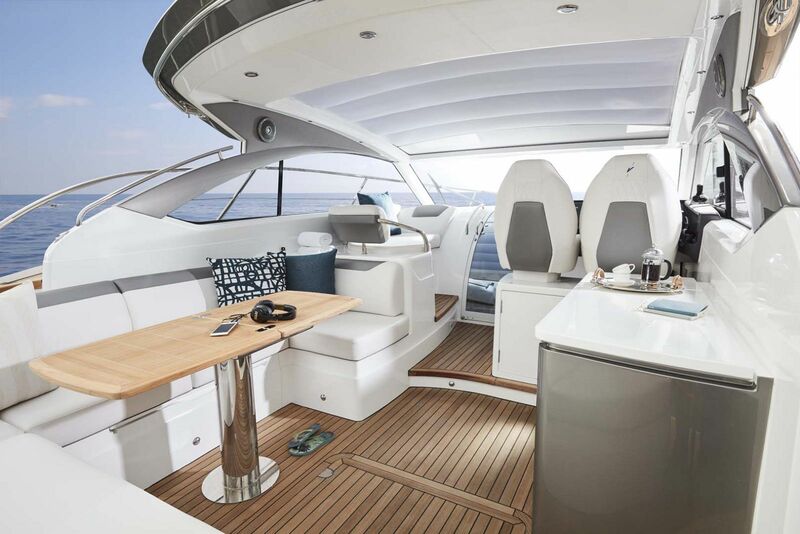 The spacious salon on the Princess V40 is well equipped as is the galley which combine for a highly sociable entertaining space. 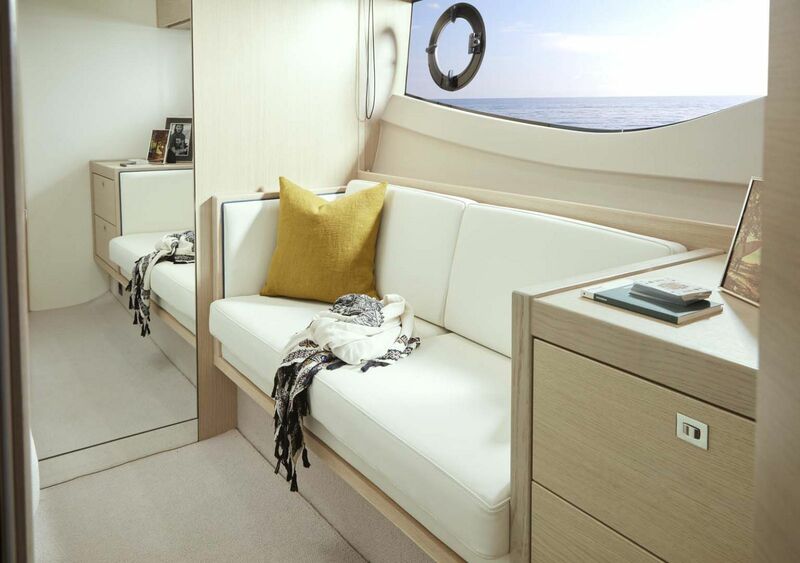 Both cabins exude contemporary style and generous proportions. 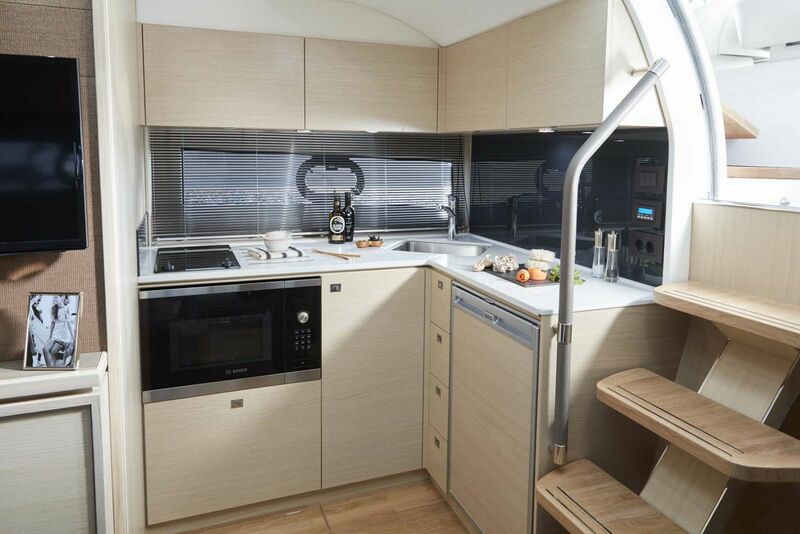 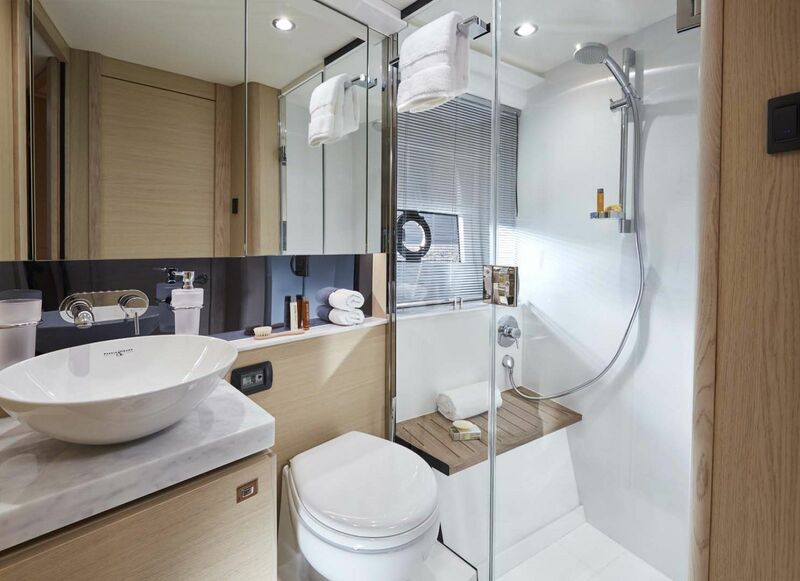 The forward cabin has an en-suite bathroom with secondary access to the saloon whilst the aft cabin can be fitted with optional sliding berths to provide easy conversion to a double bed when required. 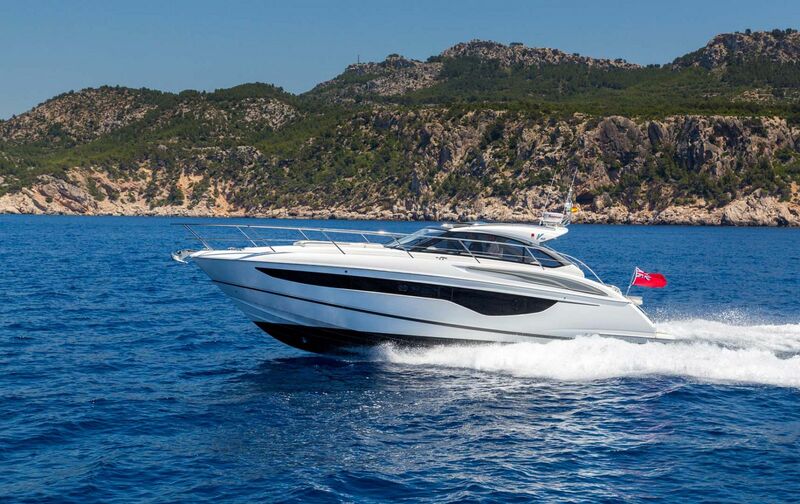 Princess powered the V40 with twin Volvo PentaD6 diesel engines that push a combined 660 horsepower. 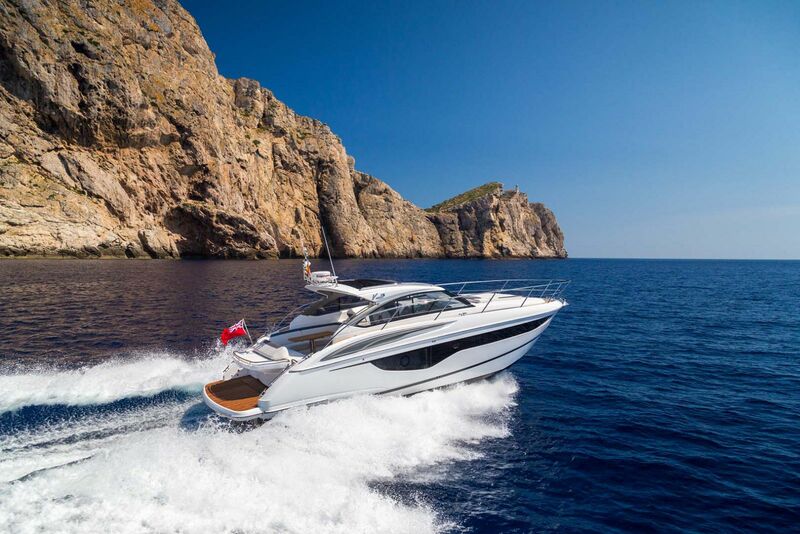 With the deep-v hull, the propulsion ssytem can push the V40 to a speed range of 36 to 38 knots and still maintain a comfortable ride. 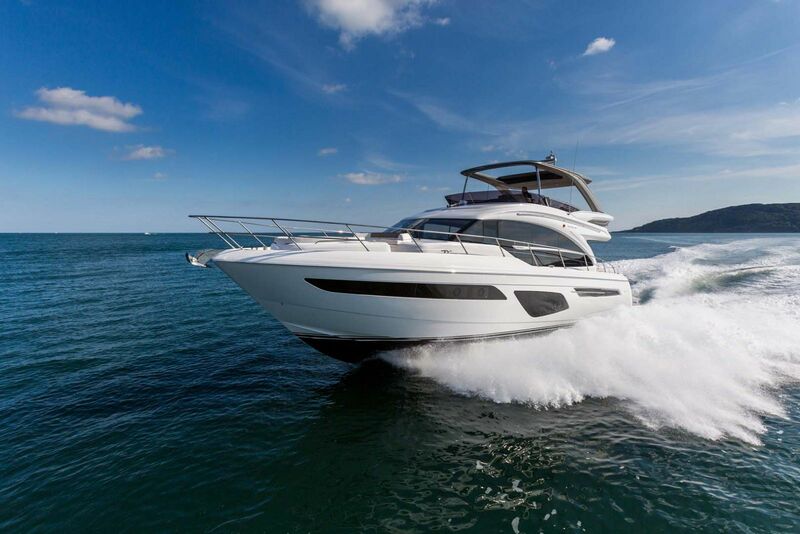 If you'd like to learn more about the new Princess Yachts V40 Sport Cruiser, contact your SI Yachts Sales Professional today. 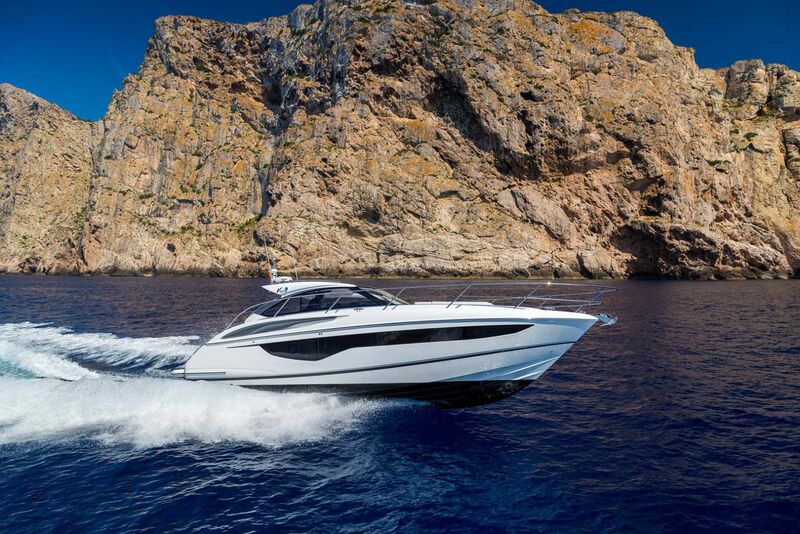 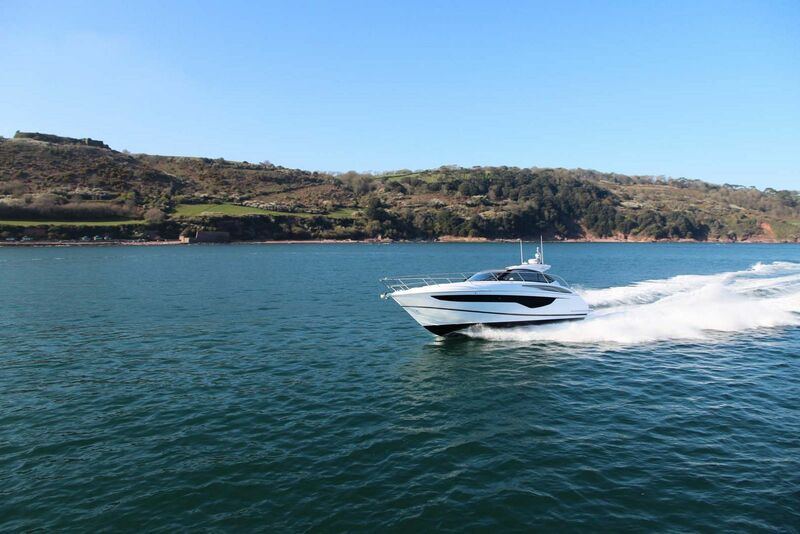 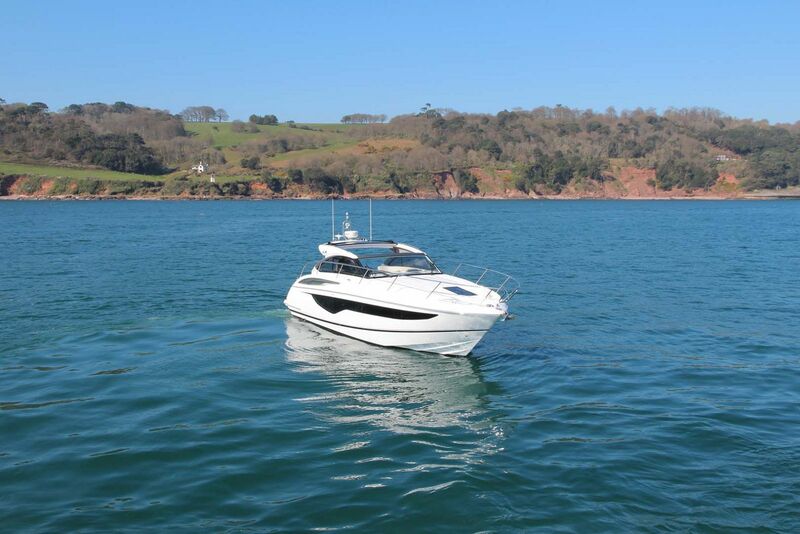 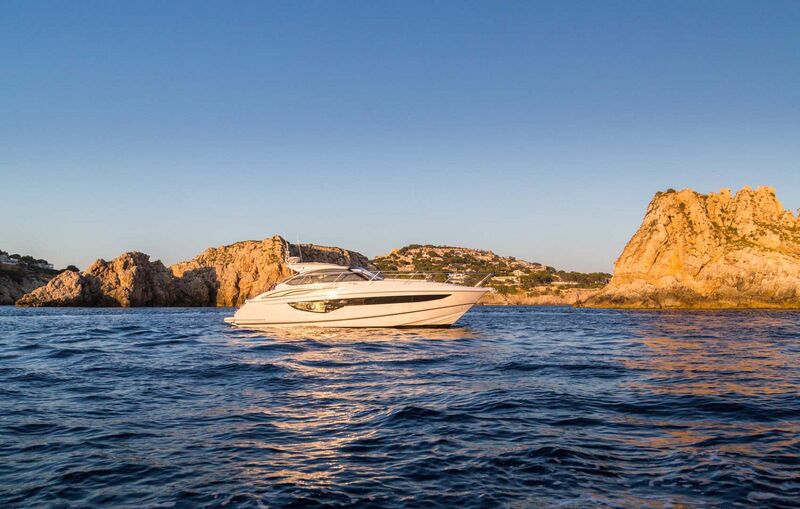 Motor Boat and Yachting magazine review the new Princess V40. 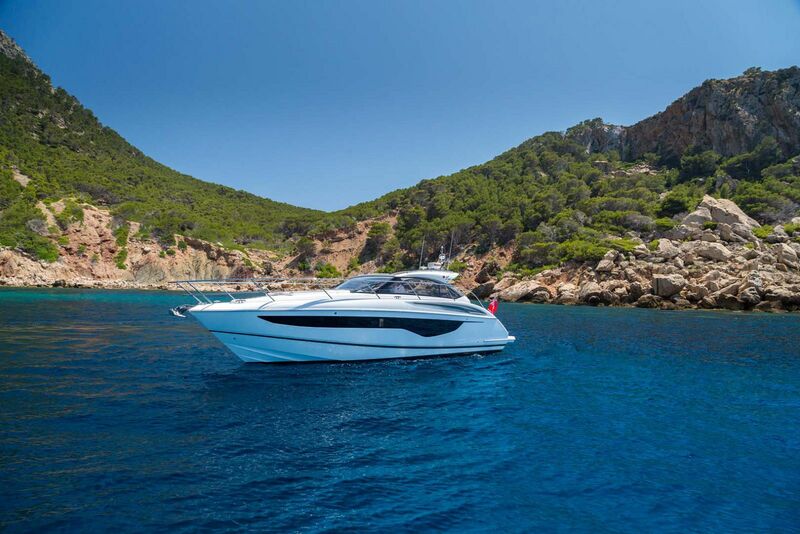 Princess Yachts released this video trailer on the new V40 Express Yacht.